This is a fascinating book of less than 100 pages about a man known by everybody as Mitchell. He was Chairman of the Co-operative Wholesale Society from 1878 – 1895, re-elected quarter by quarter all through that period. By the late 1880’s the turnover of the CWS was in excess of £6m per year. By 1897, there were 8,407 people employed by the Society, working in the distributive departments and in the bank as well as in the productive works and services. I quote from chapter ⅳ which includes excerpts from Mitchell’s speeches. “Our Movement was no longer a theory, it was a great fact, the best outcome of civilisation and an embodiment of Christianity in trade. The economists of the last century made selfish individualism the basis of commerce and taught that men should compete with one another for their own good. Co-operation taught that men should work together for the good of the whole community, that wealth should not be confined to a few, but distributed for the benefit of the entire population. The present condition of things in the social and industrial world was a scandal to so called civilisation. A few were living in palaces, clothed in silk and velvet, and thousands of men, women and children were half starved and in rags. Co-operation would bring to the masses of the people the comforts which heaven designed them to enjoy in this world”. In 1897 he told a public meeting at Congress that his ambition was no less that ‘to create a new order of things’, ‘to change the world’. This was his language in front of the Royal Commission on Labour during the early 1890’s too. He wanted a ‘new state of things’. ‘He was anxious that the lever which the working classes now had in their hands should not be employed to make other men rich, whilst they, (the workers) labour and toil and sweat for a bare existence, but to secure for them a perpetual redemption from all acts of slavery and tyranny… Capital was not the enemy of the working man: it was his friend. He wished them to use it for their own elevation and the good of their children. He asked why should not they conduct productive societies as well as distributive and thus secure to themselves the profits made in those manufacturing concerns. There was no reason why twenty years hence, Accrington should not be one gigantic productive concern and that the profits should be divided amongst the whole inhabitants of the town’. “If the trade of this country could be carried on solely by co-operation, in fifty years time the Society could buy up the whole of the land of England’. ‘That was no exaggerated theory, but practical fact’. He did not believe it to be a Utopian idea. He believed it to be a practical idea of trade that they should secure to themselves the great benefits both of import, manufacturing, merchanting and banking. J.T.W. Mitchell (1828 – 1895) known by everyone simply as ‘Mitchell’. He was Chairman of the Co-operative Wholesale Society from 1878 to 1895. Graham Melmoth (CWS Secretary) writes “The sixteenth of March, 1995 sees the centenary of the death of J.T.W. Mitchell – the great President of the CWS. 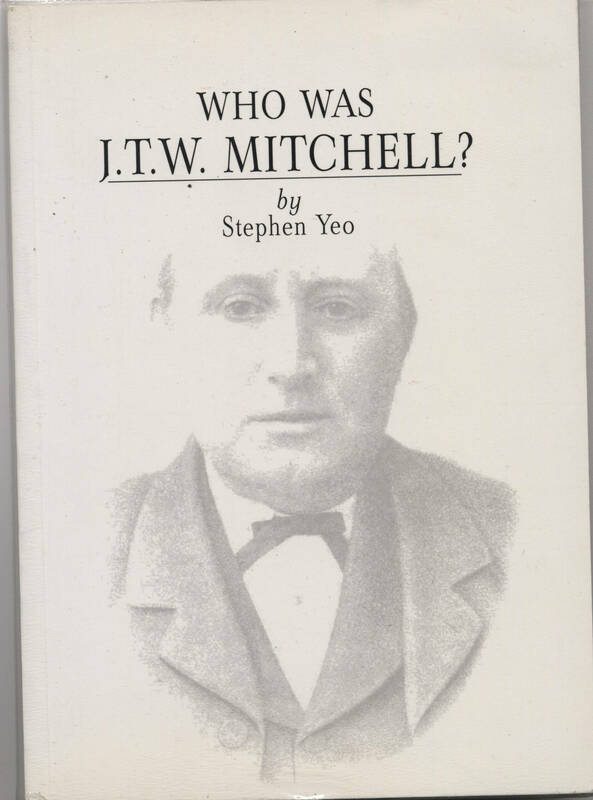 In this monograph, modestly described here as an essay, Stephen Yeo brings Mitchell vividly to life in a way that escaped the few who have so far attempted it, including William Maxwell, Mitchell’s Scottish counterpart and friend, and the CWS Historian, Percy Redfern. All that a later CWS chronicler, William Richardson, managed to say about Mitchell in a brief reference to him in his ‘CWS in War and Peace’ (published by the CWS in 1977) was that he ‘did not intellectually evolve a case for the superiority of consumer over producer co-operation’. Not only does this seem to miss the point but it captures the authentic flavour of the faint praise which Stephen Yeo suggests has damned Mitchell on all sides and which the author frequently encountered on his biographical quest. He argues convincingly that Mitchell was a radical thinker with a vision and a federalist project planted firmly in his working class roots. His adversaries, on the other hand, the idealists, who have had much the better of the press since Mitchell’s death, were for the most part drawn from the gentler echelons of society and, as Stephen Yeo suggests, were uncomfortable with the idea that working men and women should be capable, unaided, of driving their own economic destiny. 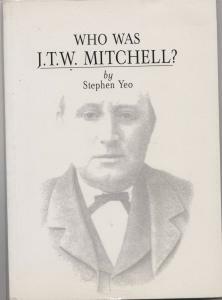 The principal debt we owe Stephen Yeo in this work is the painstaking uncovering of Mitchell’s credo from under a century of unflattering varnish. But we have him to thank too for catching the dynamism and the spirit of a man who for twenty years presided over one of the world’s biggest businesses and yet who died with no family to mourn him, with few worldly possessions, whilst registering hardly a footnote in history. Here is an historian redressing the balance. 1995 is certainly the year to do it”.